Ever wonder how Bill and Hillary Clinton amassed $240 million in the last 15 years alone? Through deals like the shady Russian uranium deal that personally netted them a staggering $2.85 million. 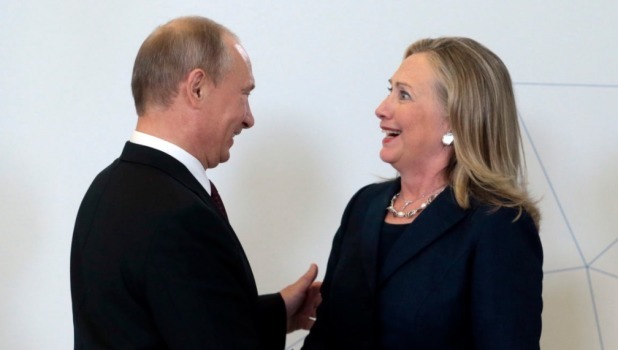 The millions of dollars flowed to the Clintons through a series of five Russian-backed donations after the controversial uranium deal – seen to be against America’s interests – was nonetheless signed off by the State Department during Hillary’s tenure. Shockingly, between the years of 2009-2013 Russian-backed interests assumed control of one-fifth (20%) of the U.S. uranium supply along with several highly-lucrative mines in Kazakhstan through a secret backdoor deal with the Clintons, as reported by Joe Becker and Mike McIntire in the New York Times April of 2015. The report was groundbreaking. And if you think about it, the report should have triggered the real Russian narrative. You know, the one where the Clinton’s sold America’s most strategic asset (i.e. uranium: used to produce nuclear fuel and weapons of mass destruction). Of course, such a narrative never came to pass. On the contrary, mainstream media circled the wagons around Hillary Clinton, and the fake Trump-Russia narrative was born, blinding the general public from what is really going on before their very eyes. It was a ploy straight from master propagandist Joseph Goebbel’s playbook. Accuse your enemy of that which you are guilty. Hillary tried Goebbel’s ploy on for size – and it fit her like a red armband. The Clintons are still dictating mainstream media talking points to this day, and undermining a duly elected president from the murkiest corner of the swamp. And if that isn’t damning enough, Bill Clinton received an additional $500,000 from a Russian investment bank with ties to Uranium One, bringing the grand total influx from Russia to $2,800,000. To top it off, the donations went unreported by the lawless Clinton Foundation. Ladies and gentlemen, the Clintons actually did shady business with the Russians against the best interest of the United States of America and personally benefited from doing so. “You can’t get rich in politics unless you’re a crook“, said Harry S. Truman. Despite careers in “public service”, the Clintons have amassed vast personal fortunes. It’s time to drop the witch hunt against the president and take the real criminals down.